John had the privilege of being born and brought up in a godly home. His father was a good Bible Teacher and one of the early leaders of the Brethren assembly movement in the State of Kerala. As he grew up in the assemblies, he came to know the Lord while still a young boy and was baptized while in the high School. In addition to the training at home and in the church, his involvement with operation mobilization and Evangelical Union (UESI) helped his spiritual growth. After his university education, graduating in English Language and Literature- he soon entered into secular jobs working in India and the Middle East for about 10 years in various capacities. It was when he was working with Prison Fellowship International as Executive Secretary (Asia Pacific Region) that he was led of the Lord to resign his post to enter into a full time teaching and preaching ministry in 1985. Puthuppally Brethren Church, his home assembly, commended him to the work of the Lord in 1986 and since then he has been travelling extensively within India and around the globe to fulfill his call as an itinerant preacher and teacher. It pleased the Lord to open doors for him to preach the gospel in crusades, teach the word in church conferences etc. in many countries. The Lord has given him a special burden for the youth and families and he has set a considerable amount of time apart to minister in youth and family Conferences. He is helping in the teaching ministry of Bible Colleges in India and the Christian Training Institute in South Korea. The Lord gave him the privilege to speak through FEBA radio to millions around the globe. Two of his books have been published by Gospel Literature Service, Bombay. The first one is on ‘Christian Family’ (co-authored with two other writers) and the second one ‘victorious Christian living’. John makes his home in Kottayam, Kerala, South India with his wife Betty. God has blessed him with 4 daughters and 7 grandchildren. Married to Naomi since 2005, they have been blessed with three young daughters and a son, named Anastasia, Nadia, Fiona, & Micah. Whenever possible, they join Keith in traveling among God’s people. Christian and his wife Pilar were commended in 2012 by Edmond’s Lane Bible Chapel in Lewisville TX. They have served the Lord in Bogotá, Colombia. The Lord has placed a burden in their hearts for equipping the national workers, and in the past years Christian has been working on the creation of FIEL Bible Institute, an online leadership training program that works alongside the local church equipping believers with Bible, Theology and Ministry courses. They pray to see a strong movement of the assemblies in Colombia with a heart for the Lord, a passion for evangelism and a solid foundation of Bible and Theology. Christian also works with young people, marriage counseling, preaching and is an Elder at one of the local assemblies in Bogota. The Ramirez’ have 2 Children, Gabriela, 9 years old and Daniel 7 years old. Sajeev entered in to full time ministry in 1992 commended by the Puthuppally assembly. He is active in the ministries of his local home assembly and in addition, travels teaching in various assemblies, Bible schools, and especially bearing some responsibilities in GTC Perumbavoor. He also preaches the Gospel in various places. He is involved in an Internet based broadcasting ministry known as Alpha TV. He is in fellowship with the brethren at the Christian Brethren Assembly, Puthupplly. Sajeev is married to Alice and they have three children, Celesta, Renata, and Junaita. Don is from the Detroit, Michigan area where he is in fellowship at Martin Road Gospel Chapel. In addition to teaching Sunday School and serving as an elder, he also speaks at assemblies throughout the Midwest and Canada. Don is married, has five children and three grandchildren. In his secular work, Don has degrees in physics and metallurgy. Most of his career has been spent in R&D activities on hard materials. 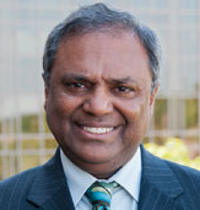 He holds four patents and has authored over 40 technical papers. In his spare time he is involved in farming activities. While in secular employment, Chacko was in fellowship as well as in the oversight at Highpoint Chapel in Davenport, Iowa for 15 plus years. Following that, God was pleased to use him and his family as His instruments in a new church plant in Clinton, Iowa where he served as an elder for another 15 yrs. A new employment opportunity led to his relocation to the Chicago area in 2013. He and his wife Jane have been in fellowship at New Life Bible chapel in Elmhurst, IL He and his wife have 4 sons (all who have moved away from home ). He is an ardent student of the Bible and an able expositor of the scriptures. As a teacher, he loves to present complex scriptural truths in a simple manner with an apologetic flair and cultural relevance. He has demonstrated a passion for discipleship within a local church context; challenging all Christ followers about the responsibility to be an ambassador of Christ 24/7 in the marketplace. Most recently, having taken early retirement, he and his wife have chosen to fulfill the call to ministry on a full time basis. Together he looks forward to this new chapter, maximizing the potential God has entrusted to him by faithfully and enthusiastically preaching/teaching His Word as opportunities present themselves. Roshan spent his early years in Saudi Arabia in fellowship with the Al Khobar brethren assembly. He was baptized at age 15 by the Khobar assembly. After completing his Bachelors in Electronics Engineering in India, he moved to the US and completed his Masters in Computer Engineering. He is currently employed in the R&D department of a major semiconductor manufacturer. He currently resides in Phoenix Arizona with his wife Jeslin and daughter Rebecca. He is currently in fellowship at the Orangewood Gospel Hall, Phoenix. His areas of interest include studying the old testament, biblical history and creation science. The theme will be developed in five plenary sessions. How does an ordinary man stand up for God and confront sin in our generation? During the time of Elijah, we see that sin abounded when Ahab the king worshiped the god of Baal and “did more to provoke the Lord, the God of Israel, to anger than did all the kings of Israel before him”. In this session, we will examine how Elijah an ordinary man from the country side confronts a royal king and a nation because he was convinced in the reality of the living God, that he was a representative of the living God, and had the resources of the living God. Often the logic of God contradicts the logic of man. In this session, we will examine why God asked Elijah to go and hide. Before God can do a mighty work through us, he needs to do a mighty work in us. This happens when we live a life in communion with God. Through this communion we see Elijah experiencing the effect of answered prayed and the need for obedience without knowing the plan of God. How much faith does an ordinary man need in order that God can do what seems to be the impossible through him? In this session, we will learn about the impossible when we examine Elijah’s conflict with Ahab and the prophets of Baal. We see Elijah giving a choice to the nation of which god they will serve; the god of Baal or the Lord Jehovah. There is a challenge to prove who is the living God. This is a conflict between a nation and one ordinary man who had the true and living God with him. James 5:17 tells us “Elijah was a man just like us, he prayed earnestly…” It is interesting to note that before Elijah’s conflict on mount Carmel, God already told him that He will send rain. However, we see after Elijah’s victory that he prayed earnestly 7 times for rain. What is purpose of prayer if God already promises to do something. In this session we will learn what is the purpose of prayer and why it is so important for God to do a mighty work through an ordinary man. When all is going well, it is easy to stand up strong for the Lord. However, when the world challenges you, even threatening you in Christ name we are tempted and often fall into despair. In this lesson, we will consider Elijah who was afraid because he looked at his circumstances. Elijah continued further in despair to a point where he wanted to die because he believed he was alone. Through all of this we hear the “still small voice” of God providing rest, refreshment, and revelation. We preach the Gospel of Christ, for it is the power of God unto Salvation to everyone that believes (Romans 1:16). Even though this is a Christian conference, there are many unsaved family and friends that attend the conference. It is our sincere desire and prayer that all will hear the Gospel and be saved. There will be two youth sessions preached by Br Christian Ramirez. The following workshops are offered on Thursday, Friday and Saturday. When registering, please sign up for a different workshop on Thursday, Friday, and Saturday. Lets stop multiplying by dividing!! John 17:22-23 states I have given them the glory that you gave me, that they may be one as we are one— I in them and you in me—so that they may be brought to complete unity. Then the world will know that you sent me and have loved them even as you have loved me. Christ’s High Priestly prayer clearly indicates His desire for his people to demonstrate – UNITY & MATURITY. But we all know that there are conflicts between believers and at times those conflicts rise to the level where the entire church needs to get a resolution of those conflicts. The secret to unity begins with how we view ourselves within the body and how we view others. The key verse that addresses this is Philippians 2:3. This workshop in Malayalam will take you into Ephesians 5 and look at the walk of a believer. It will touch upon ones walk in love, walk as children of light and walk as the wise. It will reinforce the thought that you walk circumspectly, not as fools, but as wise, redeeming the time, because the days are evil (Ep. 5: 15,16). ‘Reality’, as we perceive it, consists of what we can experience with our five senses, what can be measured with instruments and described by math and physics. Reality can be reliably seen and understood by anyone following the scientific method. How does our faith and ‘naïve’ belief in an ancient collection of documents measure up? In this workshop, we will examine General Revelation. What do we see in Physics? In Astronomy? In Biology? What does the bible say about these discoveries? You will realize, if you truly understand science, then you must conclude that the Bible must have been written by the Creator himself. Together, let us gain an understanding into the work of our Creator. The commission Jesus Christ gave was to “go and make disciples.” The idea of making a disciple is to pass the torch from one generation to the next generation. The foundation of a growing church is based on making disciples and passing the torch. This workshop will examine, from scripture what it means to make a disciple and look at practical examples of how to pass the torch. Many young people ask the question, “How can I prepare myself for marriage?” With divorce continuing to rise even among Christians, many are also asking how we sustain a marriage? This workshop will examine from scripture, how to prepare for marriage and also how to sustain a marriage that is honoring to God. We all live in cities and neighborhoods with fences that separate each other. Even in the local church often biblical hospitality is minimal. Romans 12:13 instructs the church to be “distributing to the needs of the saints, given to hospitality.” Also Jesus taught His disciples to love one another and show the world that we are His disciples. This workshop will consider what is biblical hospitality and the blessings of being hospitable. Registration materials will be mailed out in the beginning of May and online registration will start in May. You can also register securely from the www.ibfus.org website. You will need to login to register. Indiana Wesleyan University has a beautiful campus. We have access to Townhouses, Apartments, Suites and Dorms. But each of these are limited in number, especially the Townhouses and Apartments. Please review the information below and select the appropriate housing. Townhouses are air-conditioned, self-contained units with 3 bedrooms, 3 private bathrooms, a small kitchenette, and living area. Each bedroom has two twin beds. This can accommodate 6 people comfortably. This is ideal for a larger family. Apartments are air-conditioned with 3 bedrooms (two twin beds in each), one to two bathrooms, and a small sitting area, which can accommodate 6 people comfortably. This is ideal for a larger family. Suites are air-conditioned with 2 bedrooms (two twin beds in each) and share one bathroom connecting each bedroom. This is ideal for an average sized family or singles rooming together. Dorms are air-conditioned with 4 bedrooms and two bathrooms. Thus 8 people share two bathrooms. 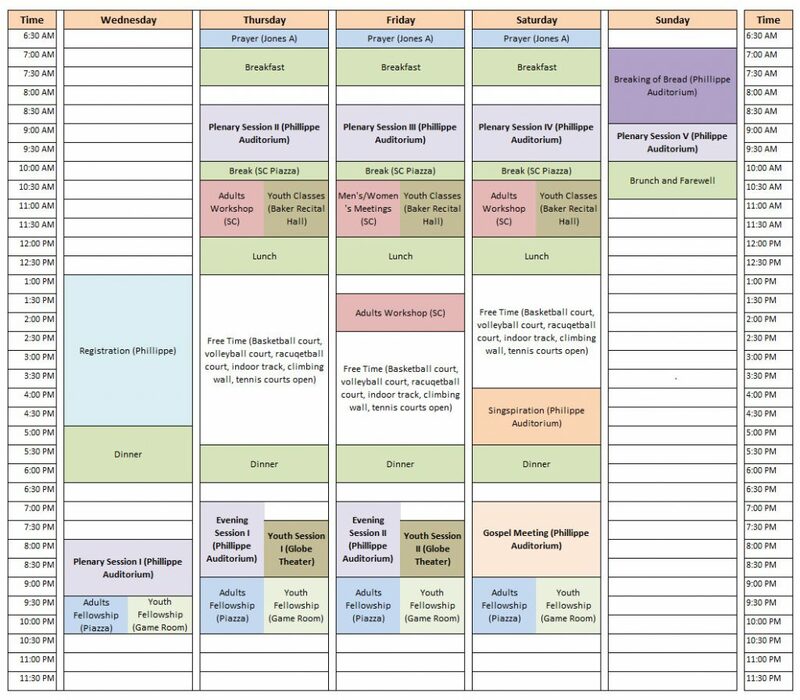 This is convenient for a large family or two families or people that want to stay together. When registering, please indicate if you require first floor accommodation due to physical disability. We will try to assign you a room that is either on the first floor or in a building with an elevator. We should have plenty of rooms available to us, but as always, housing is assigned on a first come first served basis. Please register early to ensure that you get your preference. 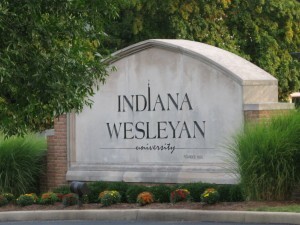 The IWU Campus is close to Indianapolis (Indy) International Airport (about 1 hour & 40 minutes away) and Fort Wayne International Airport (about 1 hour away). If anyone plans to fly into Indy, please call Br. George Abraham at 917-297-4090 or email him at GAbra60313@aol.com. For the convenience of those on the East Coast who would like to attend the conference, we have arranged a bus from Bronx and Queen’s, NY to Marion, IN and back. The round-trip cost is $165 per person. The seats are on a first come, first serve basis. For further information and to reserve your seat, please contact George Abraham, Staten Island, NY, at (917) 297-4090 or email GAbra60313@aol.com. A check towards advance may be made out to “Indian Brethren Fellowship” for the full amount and mailed to George Abraham. Please contact the following people during the day or early evening.